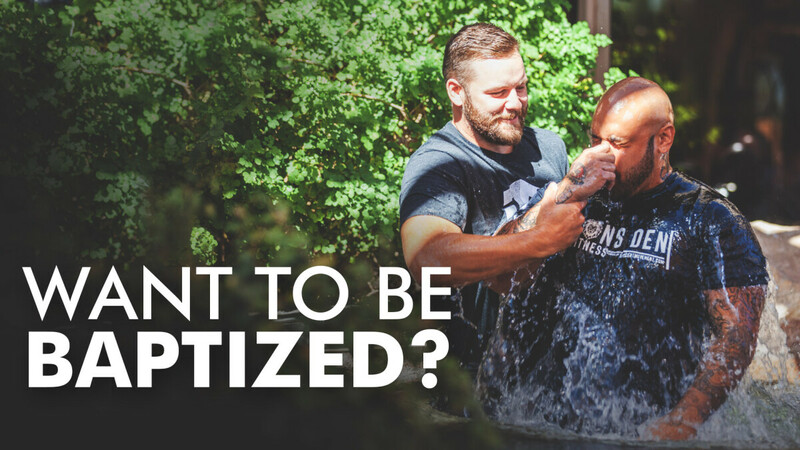 We believe that baptism is an outward public declaration of an inward private decision. When one is baptized “in the name of Christ” you are declaring your identification to Him. We believe in “believer’s baptism”. That is, baptism is a conscious decision made by one who has already trusted Christ as their personal Savior. (Acts 8:12) Because baptism is a choice of one’s will, we do not believe in infant baptism. Baptism is an outward symbol of the resurrection power for believers. (Romans 6:1-10, Colossians 2:11-12) As one is baptized into Christ’s death, so one is also raised by the power of Christ to live a new life. READY TO TAKE THIS STEP? Our next baptisms are on Sunday, November 11th, with a pre-baptism meeting on Sunday, November 4th. If you would like to make this public declaration of your faith in Jesus Christ, register below. If you have any additional questions, please email us at .